Established by the Georgia General Assembly in 1937, the Georgia State Board of Registration for Professional Engineers and Land Surveyors has been responsible for protecting the safety, health and property of the public. The Board was granted the power to set standards for licensure, adopt rules, adopt mandatory standards of professional conduct and ethics and investigate, discipline unauthorized, unethical or incompetent practice. The priorities of the Board are to review applications, administer examinations, license qualified applicants, and regulate the professional practice of licensees throughout the state. 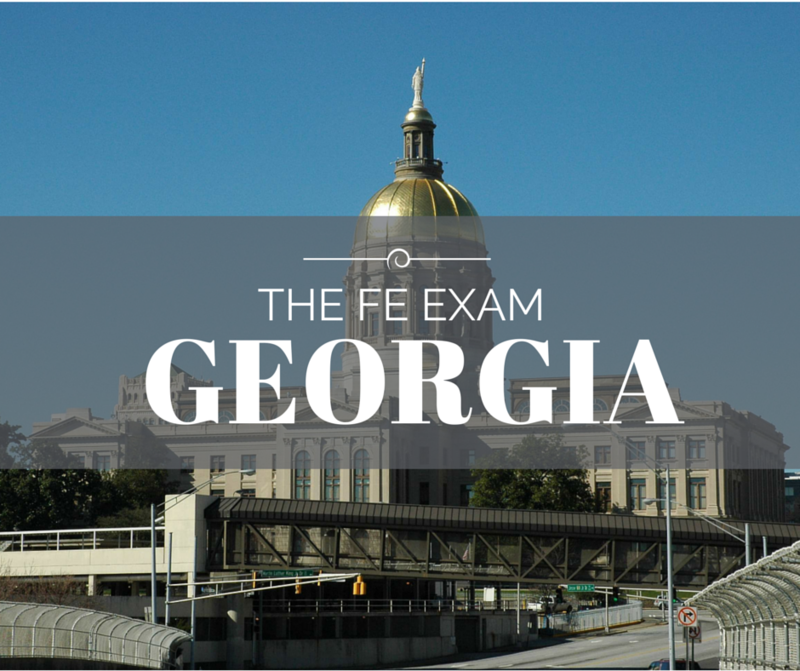 The Georgia State Board of Registration for Professional Engineers and Land Surveyors will have all the information for the FE Exam Dates, the Georgia Professional Engineer Requirements and locations for local FE Exam Reviews. What educational programs are accepted for taking the Engineer in Training exam? Any EAC/ABET, TAC/ABET or Non EAC/ABET, TAC/ABET, ASAC/ABET accredited engineering, engineering technology, or related science program. However, further education and/or experience may be required prior to taking the PE exam if you graduate from a program other than EAC/ABET. See the Boards website for details. Have further questions? Check the Frequently Asked Questions or visit www.sos.ga.gov/plb/pels to get the most up to date information.